Reset service light indicator Mercedes Vito. How to reset maintenance light, reset oil service light. Can be made manually by use button on car dash board. 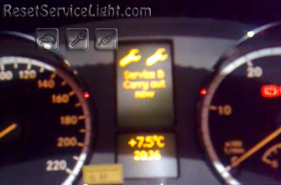 How to reset service light indicator Mercedes Vito. From year: 2002. How do you reset service light Mercedes Vito model 111. From year: 2007. When finished navigate to main screen. Push and hold “0” button. Picture below. 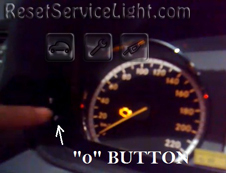 That it is the full procedure how to reset service light indicator Mercedes Vito. If you like to reset any maintenance oil light after an oil change. Or reset check engine light, airbag light, inspection key or insp errors when maint reqd, for Mercedes-Benz cars. Or any warning light for service reminder which appears on the display. Write in the search box the car name for which you want to find information, and find how to reset other service reminders when by yourself. I have followed instructions on how to reset my vito service light. Unfortunately light remains in previous setting but my van will no longer start. I would be grateful if you could advise me on what to do. Please tell me from what year is your Mercedes Vito? How do I read the light that appear on the meter. There few light does goes off what shall I do. Please tell me from what year it is you car?